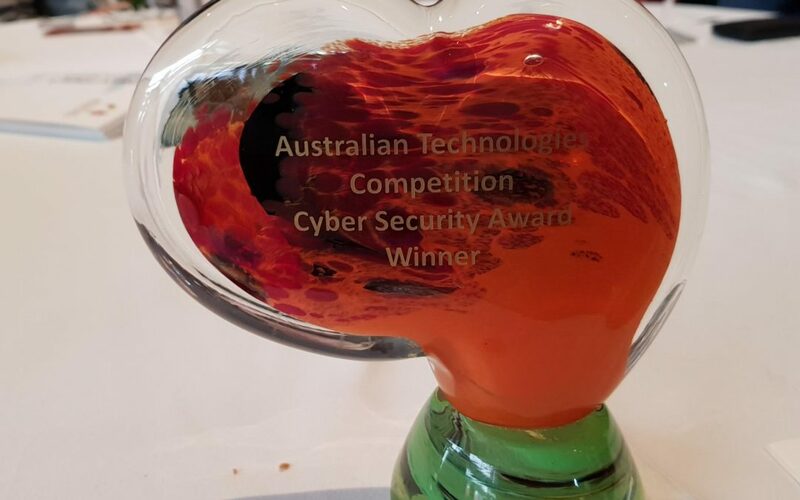 In May 2018, Cogito Group begun our Australian Technologies Competition journey, and in November 2018 we took home the top prize for Cyber Security. The Australian Technologies Competition is a nationally recognised program which celebrates Australian innovation. Cogito Group put forward our cyber security command and control software platform: Jellyfish for the competition. Our rigorous ATC journey included a business plan submission, semifinalist workshop to hone in on commercialisation and industry influencers, roundtable pitching and judge pitching. We would like to thank AustCyber for being instrumental in supporting our path to success in the Australian Technologies Competition. From the beginning AustCyber recognised Jellyfish as an agile innovation, with immense potential to make an impact, and AustCyber continued to provide mentorship throughout. As a young ICT company working at the forefront of new technology, it is Cogito Group’s mission to address the growing vulnerabilities in the cyber security. In our rapidly changing landscape, we all know that threats don’t often use the front door. We’re dealing with the trusted insider, BYOD, Cloud, the fact that most of the enterprise is now accessible via the internet and access is not just by employees but also contractors, customers and partners and that access is from anywhere in the world. Unfortunately for many organisations, once someone is in their network most organisations have very few restrictions. Cyber security is like an arms race with both sides constantly evolving their weapons and defences. It is an honour to be recognised for excellence in the cyber security industry, with so many incredible Australian innovations by our side.